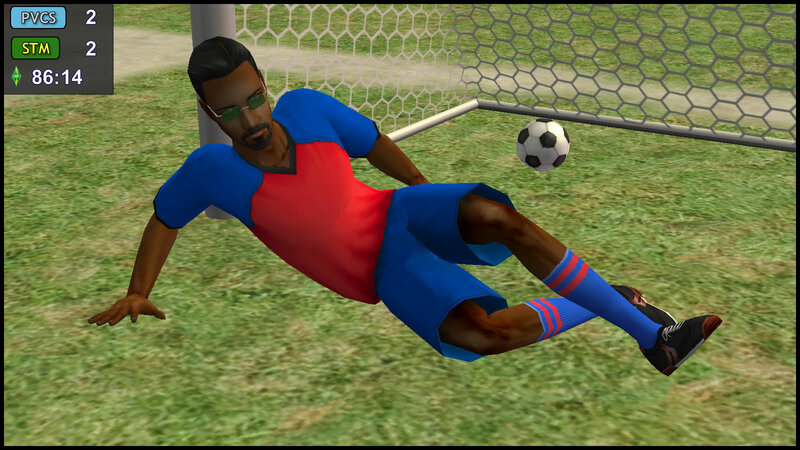 Vidcund puts the ball in the bottom right corner, sending Dreamer the wrong way. Assisted by Kent Capp. When Vidcund scored, Lazlo did a cartwheel. PT9 gently told him to not waste his energy. Meanwhile, Regan’s gaze meets Kent’s. She’s more sad than angry about Kent’s decision to switch sides. Kent returns the sad gaze. The Capp siblings wisely say nothing to each other. 48″ INJURY (PVCS): Darren Dreamer is still down! 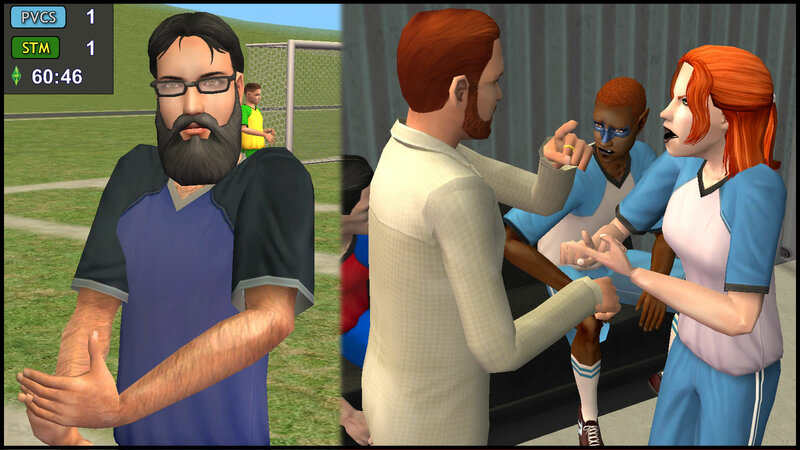 He is briefly treated on the field, and feels OK to continue. 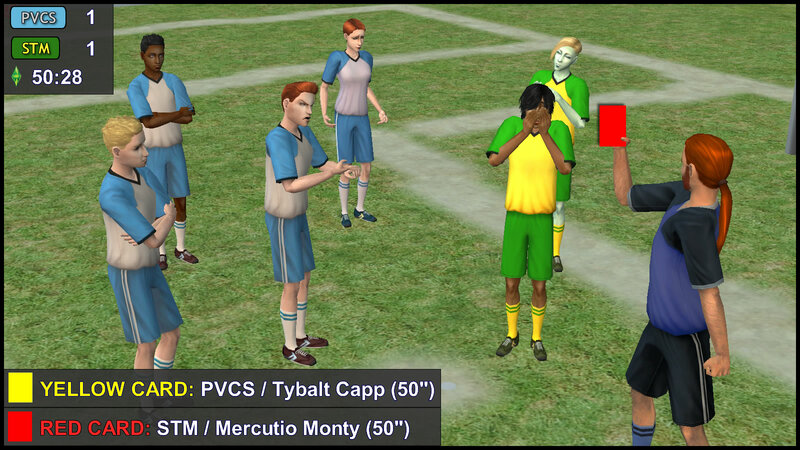 50” YELLOW CARD (PVCS) & RED CARD (STM): A brawl between Tybalt Capp and Mercutio Monty gone wrong. Tybalt gets a yellow card, but Mercutio gets a red card. Team STM is down to 10 players! Consort: Watch out Patrizio, otherwise your belly will grow bigger and then you’re gonna explode!! AH: Did Consort just make a fat joke there? 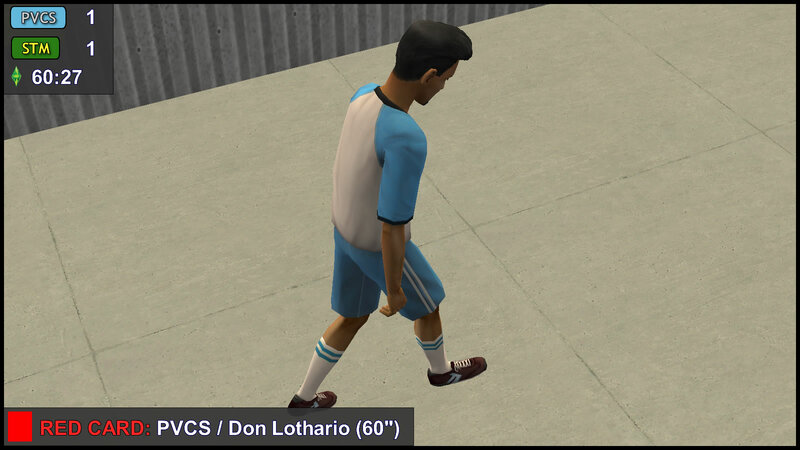 59” SHOT OFF TARGET (STM): Nervous Subject with the cross, but Don Lothario heads it over the sideline. 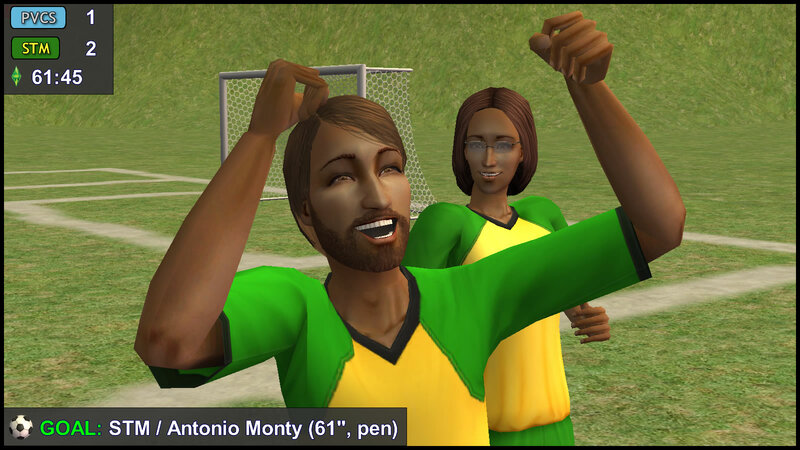 60″ YELLOW CARD (PVCS): Don Lothario – pulling Bianca Monty’s shirt. This is Don’s second yellow card! His first card also involved a foul with Bianca. Any coincidence that she’s the only female player in the opposing team? 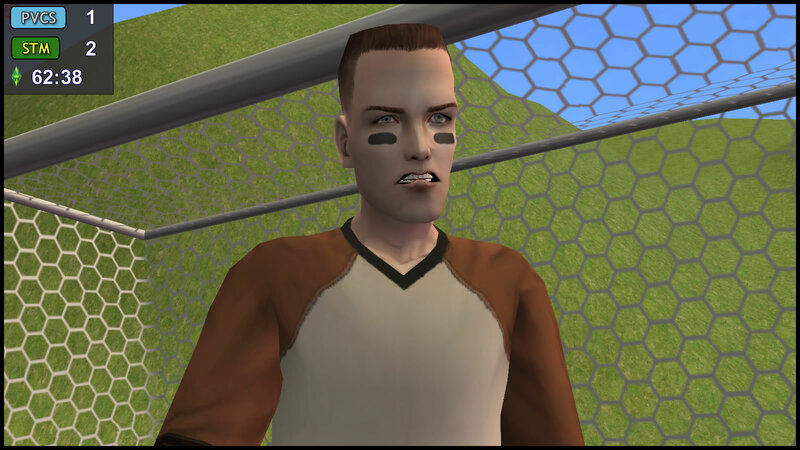 Daniel Pleasant bangs his head. That’s why he specifically told Lothario to mark Nervous Subject instead! Team PVCS is down to 10 players too! 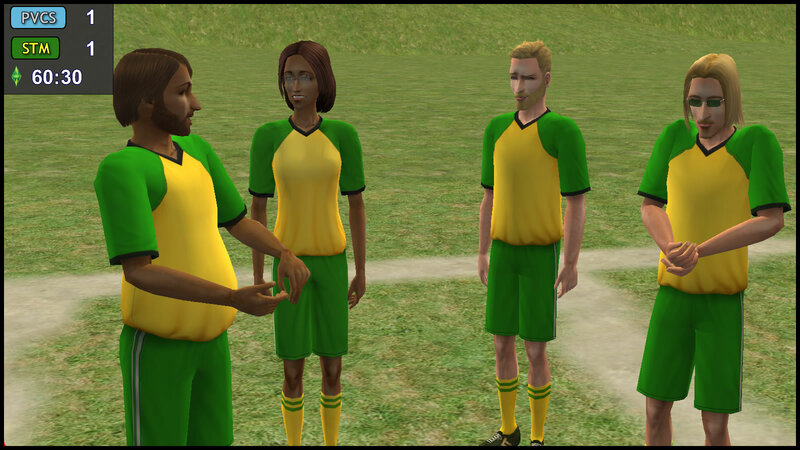 Three of Bianca’s teammates shoot knowing glances at her: her brother Antonio, her best friend Kent, and new friend Vidcund. Bianca: Who is he? Why was he covering me all the time? 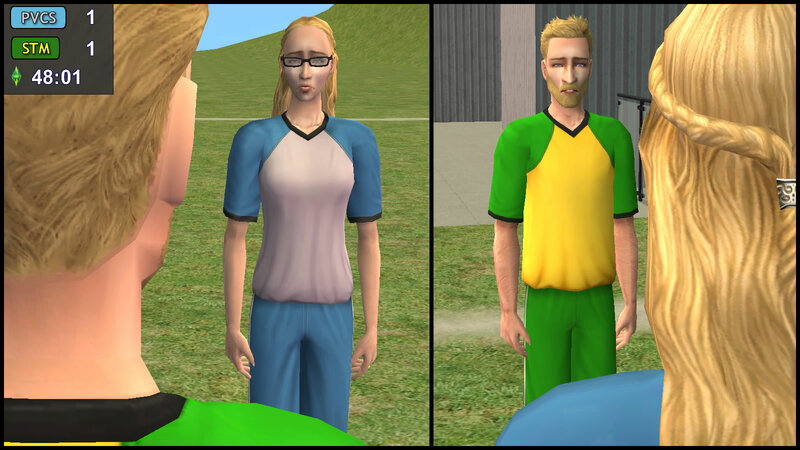 Antonio: Jennifer Burb said Lothario is a womanizer, and that he also tried to flirt with her. Kent: You’re right. What a creep… why do such people even exist? 60″: After Lothario is sent off, Juliette Capp is seen warming up. 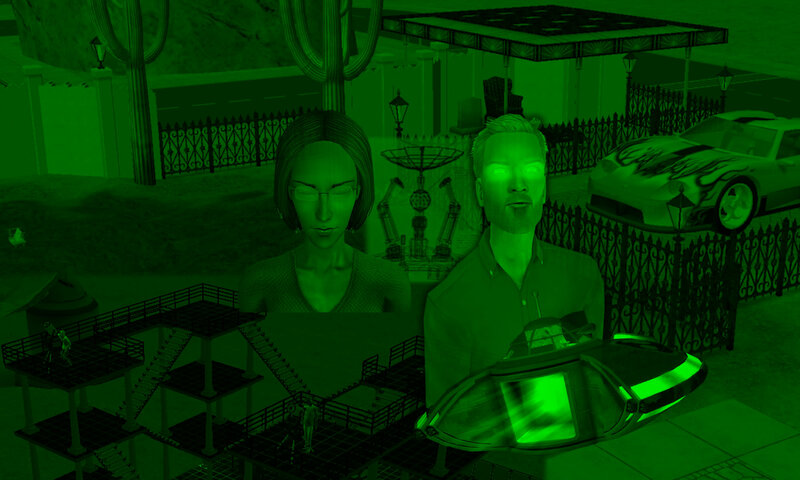 Lilith and Daniel Pleasant are quarreling. Lilith: Dad, I want to be on! I’m better than Juliette! Daniel: Be quiet, Lilith. You’re lucky to be on this substitutes bench, because your sister is not interested in football. The closest linesman, Xu, turns and glares at them. Father and daughter shut up immediately, but not without first glaring at each other. 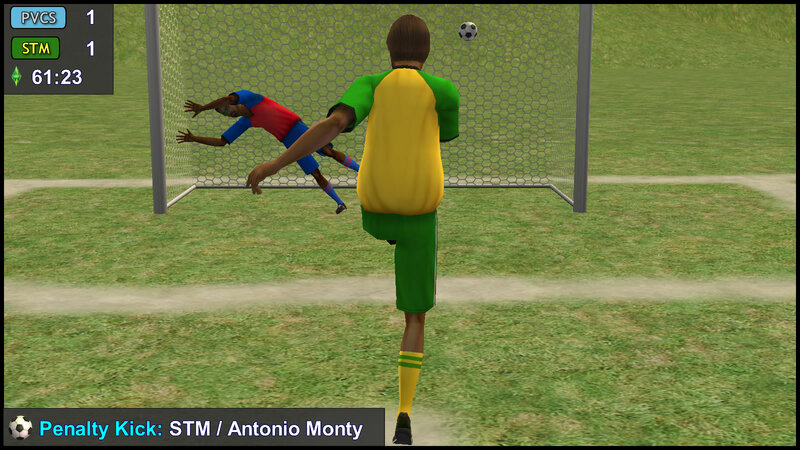 61″ PENALTY KICK (STM): Antonio Monty steps up to take the spot kick. Dreamer went down the wrong way, so Antonio’s shot is unreachable. 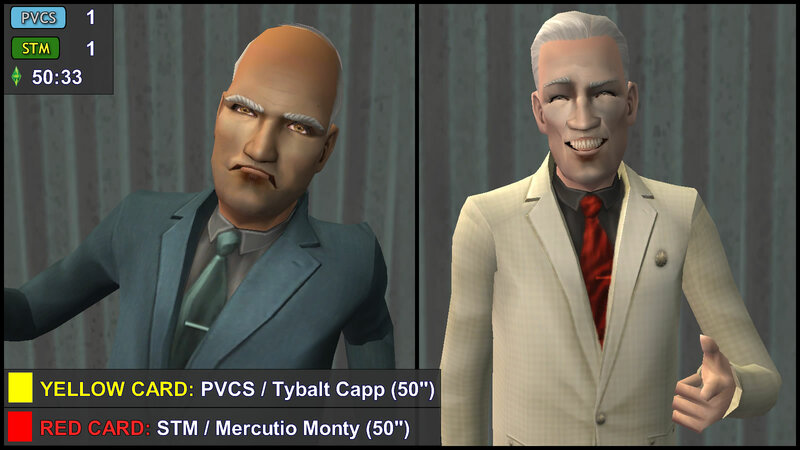 62″ SUBSTITUTION (PVCS): Dustin Broke Out, Juliette Capp In. Dustin had a very quiet game so far. Perhaps Juliette can breathe some life into the team. 62″ SUBSTITUTION (STM): Tank Grunt Out, Circe Beaker In. General Grunt glares at PT9, but the alien ignores him. Tank has been playing well! Shouldn’t the alien take out his own son instead? That reminds Grunt of his own yellow card from his 1st Half outburst. Grunt seethes quietly, and makes no obvious commotion… for now. Circe may also self-defend by sticking her football boot studs into him… but why did Bianca not do that? 66″ YELLOW CARDS (PVCS): Titania Summerdream & Puck Summerdream. The Summerdreams are exposed, and are told to stop their magic immediately. 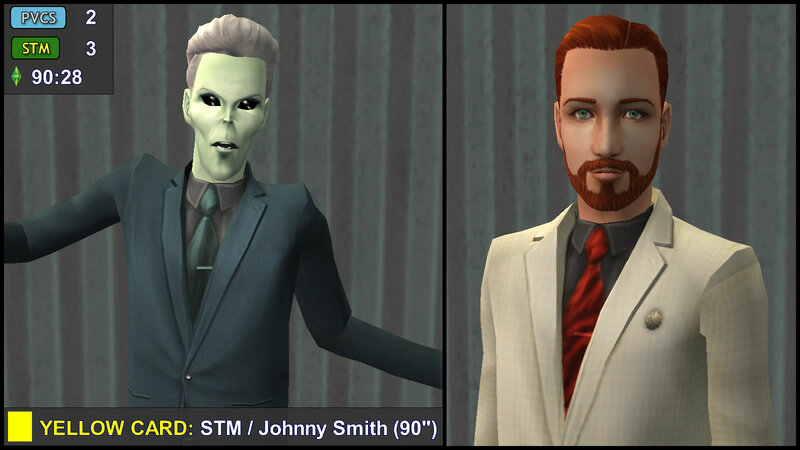 The Summerdreams’ face paint disappeared instantly. Daniel Pleasant smiles. His younger sister has finally lived her dream to be a football star. 70″ SUBSTITUTION (PVCS): Titania Summerdream Out, Oberon Summerdream In. Quick check: Oberon’s face paint is not activated. Linesman’s flag is up. Goal disallowed for obvious offside. 77″ FOUL (STM): Circe Beaker caught diving to get a Free Kick. Referee tells her to get up, but no booking. 80” FREE KICK (PVCS): Great Free Kick from Oberon Summerdream. Gen Grunt has no chance of getting it, but the ball goes wide, making Consort frustrated. 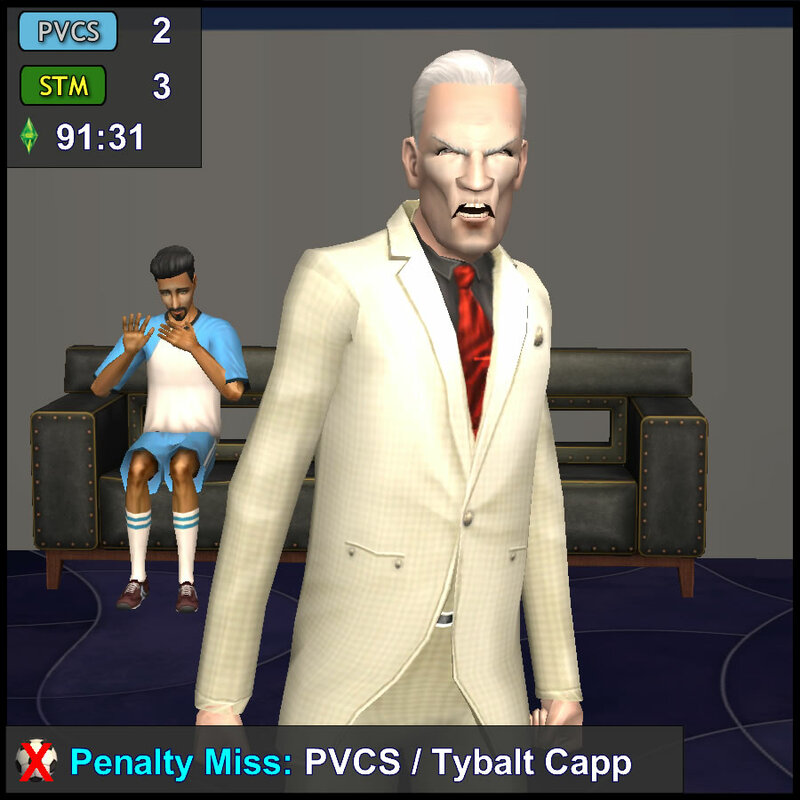 84″ YELLOW CARD (PVCS): John Burb — too frustrated, bad sliding tackle on Nervous Subject. 85″ FREE KICK (STM): Bianca Monty takes it. Olive Specter smiles for the 1st time throughout the match. 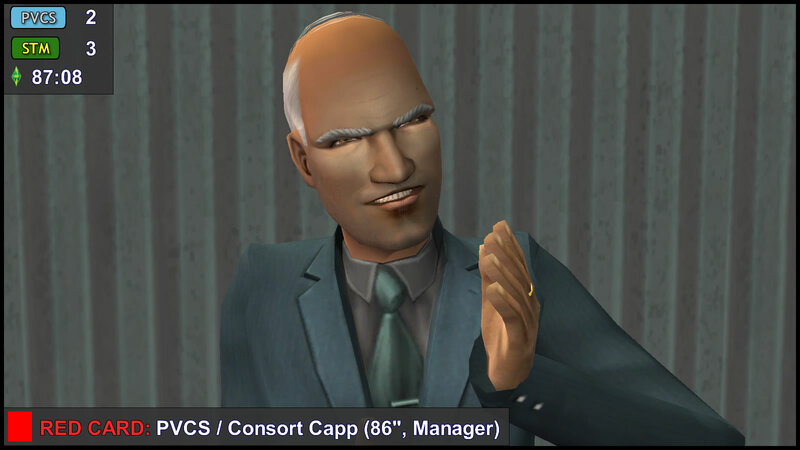 86” RED CARD (PVCS): Consort Capp’s instinct kicks in. He runs onto the field to give Referee Baptiste a punch. Consort is removed by the stewards, so Daniel Pleasant has to take over. Patrizio Monty laughed, but PT9 is confused. 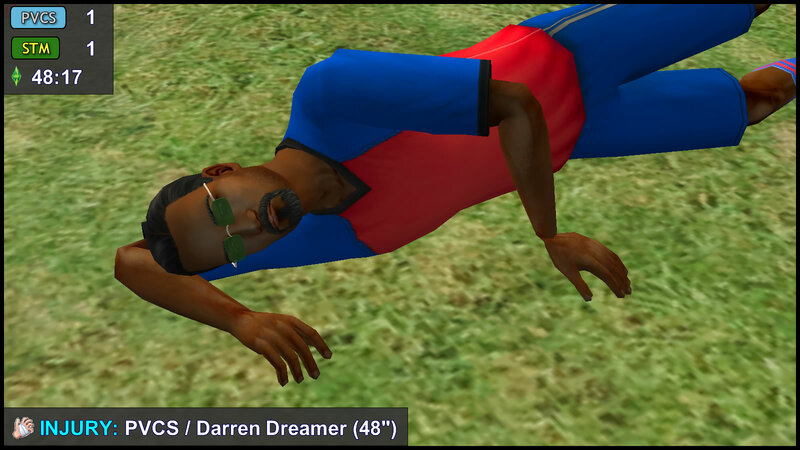 90″ YELLOW CARD (STM): Johnny Smith — Oberon Summerdream is tripped in the penalty area by Johnny. 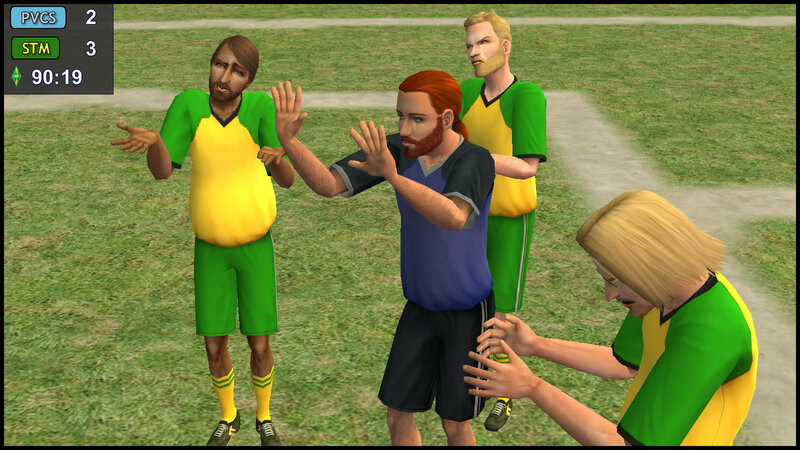 The referee points to the spot! Several STM players crowd around in protest. Antonio Monty insists that Oberon dived, but is waved away. For the first time in the match, PT9 loses his composure, and tries to run to the field. Patrizio grabs the alien back to his seat, before the linesmen notice. Daniel privately cheers, but keeps his cool. Consort Capp does a happy dance in the dressing room. Consort smashed the TV against the wall in the dressing room. 90+2″ SUBSTITUTION (STM): Vidcund Curious Out, Lazlo Curious In. Luckily the TV in the dressing room has already been smashed, so Consort doesn’t see how Patrizio / PT9 are deliberately wasting time, though Daniel successfully remains calm. 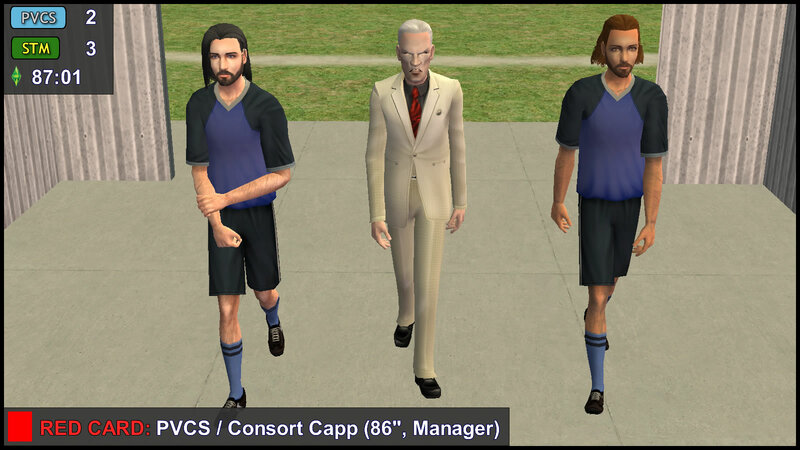 Sim of the Match: Kent Capp, for the most number of assists.